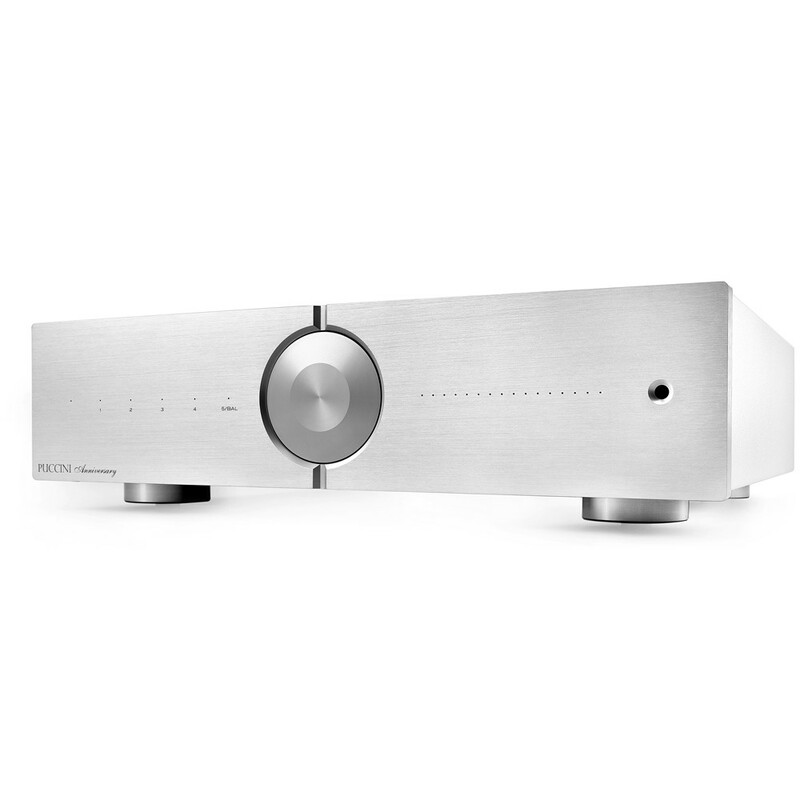 20 years of Audio Analogue, 20 years of Puccini, the two things go hand in hand … the Puccini, the first amplifier and the first Audio Analogue product and absolute milestone of high fidelity audio. The dream was to create the best Puccini ever, a product that would mark a turning point in the history of Audio Analogue and show the way for what will be the products of the future, created with the intention of giving top sound performances, but also technically very advanced. This is certainly a tall order and to make it possible we have seen the consolidation of an idea born in the Airtech laboratories: development of an integrated amplifier without global feedback, being this way less sensible to the kind of load driven, without the tendency to oscillate, without high frequency resonance peaks, with no saturation in the input stages and with completely balanced circuitry. Heavy metal chassis, aluminum front panel with 14mm thickness, remote control. Volume control with an encoder that communicates with the four digital high precision Analog Devices potentiometers(two per channel). Volume with four possible curves selectable according to the sensitivity of the speakers. Indications of volume level and selected input, thanks white LEDs with brightness adjustable on two levels, or switched off. Inputs with high-quality gold-plated RCA connectors with Teflon insulation, soldered directly to the input’s board and activated via signal relays. All stages of the amplifier on separate boards. Printed circuit boards have golden copper footprints with double thickness compared to standard PCBs in order to increase the electrical conductivity. Fully dual-mono circuitry. Transformer power 700VA, six pairs of ON-Semiconductor power transistors (three per channel). All internal wiring with pure solid 7N OCC copper conductors, military standard resistors, audio-grade polypropylene capacitors, copper binding posts gold plated.